The year is 1959. The average price for a loaf of bread is around 20 cents and gas is as little as 25 cents a gallon. Doris Day and Frank Sinatra fill the airways, Dion & the Belmonts ask “Why must I be a teenager in love?” and Marilyn Monroe is steaming up the screen in Some Like it Hot. Dwight D. Eisenhower is president of the United States and Hawaii is about to become the 50th state. Some are saying that 1959 is the “year music died,” after a tragic airplane crash kills famous rock-and-roll legends, Buddy Holly and the Big Bopper. 1959 marked the end of a decade that would forever leave its imprint on American pop culture with its cars, music, milkshakes, and poodle skirts. It is noted in history as a prosperous period of American economic growth. Much of this prosperity can be traced to the end of World War II in 1945. Men were home from war, families grew and the economy flourished. Many women happily returned to their previous duties of housekeeping and raising children during the 1950’s. At the same time, a positive shift took place in the cultural attitude towards women working outside the home. This trend, which began during the war, continued to grow and gain momentum at the turn of the decade. As Americans slowly changed their views on traditional roles, women were granted the freedom to explore careers previously frowned upon. In joining the workforce, women were faced with the role of being a mother and caretaker to their families, along with the additional stresses of full time employment. Working mothers of this new age could have their cake and eat it too, but they had to bake it before they left for work! Breakfast needed to be made, lunches had to be packed, and the art of hospitality was still alive and well. Even with shiny new appliances at their fingertips and the emerging convenience of packaged foods on the rise, the 1959 woman needed some help to keep her “hurried” life running smoothly. 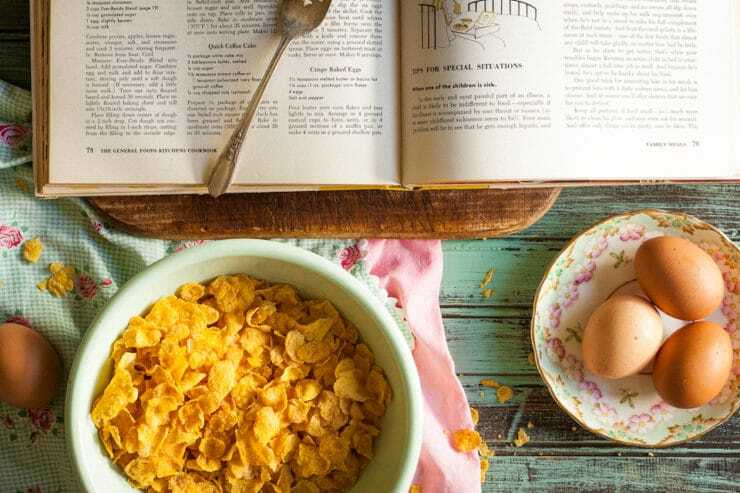 The General Foods Kitchens Cookbook, published in 1959, is a culinary reflection of this cultural shift. The book was written by the “Women of General Foods Kitchens” – working women who needed a plan. The times we live in are hurrying times, and we are a hurrying people. But it is still possible to provide the necessary islands of peaceful, enjoyable family living that are traditionally associated with the table. In place of household servants and unlimited time for preparing meals, we have time-and-labor-savings appliances, prepared or partially prepared foods, and more delightful ways of serving them, than anybody’s ever had before. We can still make the most important meals, the family meals, memorable – not just once in a while, but most of the while. 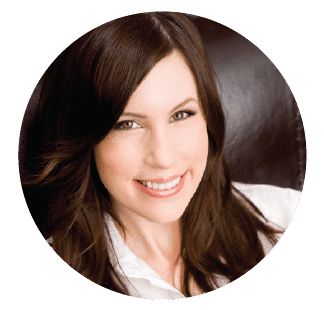 The pages of the cookbook are filled with detailed “how–to’s,” “what if’s,” and numerous tips for “just in case.” Even better, the contents page is organized by situation. Brilliant! Under the chapter entitled The Good Neighbor Policy, you will find suggested menus for when neighbors move in or out. Chapter 5, How to Rise to the Occasion, tells you want to make when your husband unexpectedly brings a hungry coworker home for dinner. The book overflows with lighthearted encouragement and kitchen camaraderie; it reads like a well thought out letter from your closest girlfriend, aunt, or grandmother. As I read through it, I got the distinct feeling that the women of the General Foods Kitchens had been there and done that. It led me to believe their advice can be trusted. I chose to make a recipe that appears on page 78, nestled between Butterscotch Pecan Rolls and Tips for Special Occasions. Under a header that said, “When one of the children is sick,” I found this simple 3-ingredient recipe for Crispy Baked Eggs. 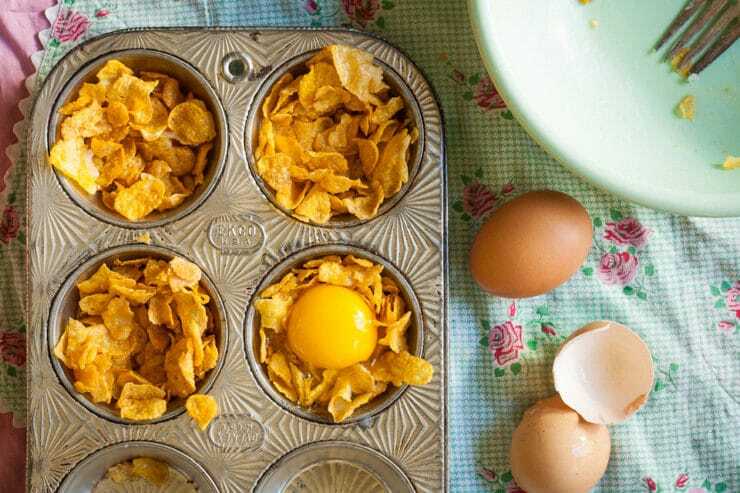 I mixed the cornflakes with a bit of melted butter, then spooned them into a muffin tin to create a small nest. Then I cracked an egg in the middle of each nest and sprinkled the eggs with salt and pepper. Into a low warm oven they went and 20 minutes later, voila – breakfast! You won’t believe me when I tell you how delicious these little eggs are… and they only require 3 ingredients! 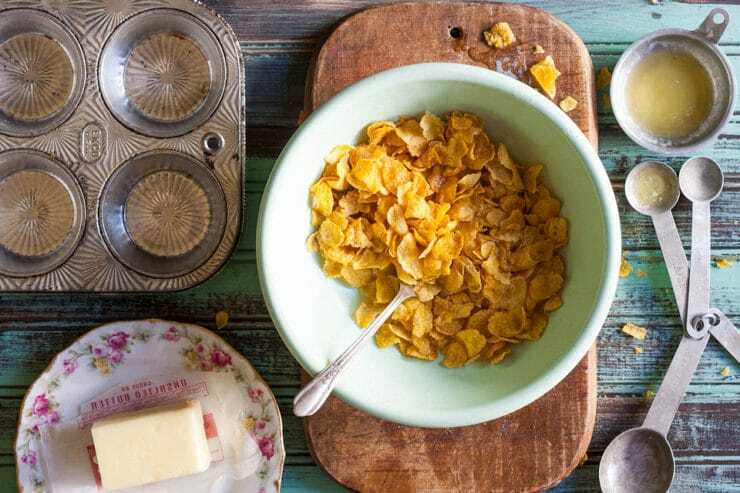 Pour butter over corn flakes and toss lightly to mix. Arrange in 4 greased custard cups to form nests, or in 4 greased sections of a muffin pan or make 4 nests in a greased shallow pan. Break eggs carefully, slipping one into each nest. Sprinkle with salt and pepper. Bake in a slow oven (325 degrees) for 15-20 minutes, or until eggs are firm. To serve, loosen with a knife or spatula; lift gently. Dietary Adaptations: To make the recipe kosher or vegetarian use butter, not bacon fat. My Mom made these when I was a teenager back in the 70’s. It was a recipe she picked up from a rural farm women’s club in Iowa. She just put cornflakes in the bottom of the muffin tin, then a liberal dab of butter and the egg. She usually sprinkled it with garlic salt. I am actually planning on making these for my lunch today. Can’t wait! It has been years! Tori……..I would love to have muffin tins like that……could you probably sell it at your site! Just made these and they turned out perfect! Thanks for the idea! These look wonderful, and so does the whole photo. I was definitely around at the time, but my mother didn’t make anything like this. Sick children got toast with butter and sugar, of course! 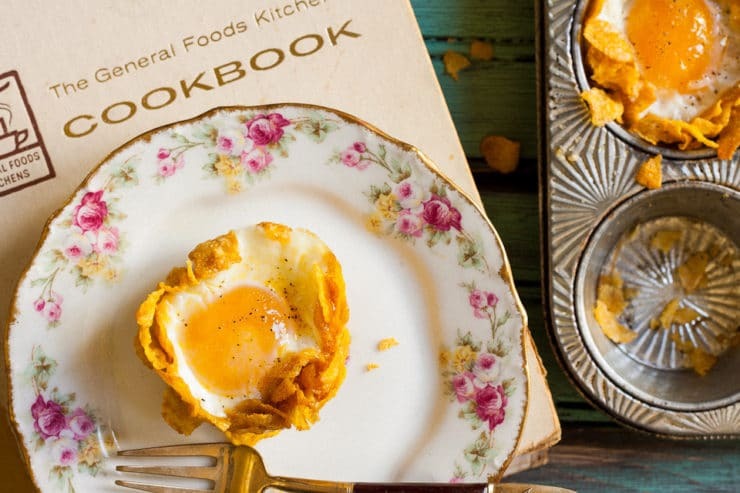 The most thrilling egg dish was Popeyes, which I much later learned are also called “gashouse eggs,” from “Gasthaus” eggs, and, in Vermont, “one-eyes”). And the history overview was fun. I do have to point out, though, that there were THREE rock stars killed in that crash–the third was Richie Valens (of “La Bamba”). The song “Three New Stars” commemorated them (“Gee, we’re gonna miss you; Everybody sends their love”). Egg safety question: Do the yolks in these end up runny, or are they pretty much baked solid (so there’s no concern for people with wonky immune systems, etc., who really need to avoid runny eggs)? Thanks. Hi Jessica! Louise contributed this recipe but I’m happy to chime in, as it’s easily adaptable. If you’re concerned about egg safety, simply bake the eggs until they are fully cooked through. If they’re not quite fully cooked after the suggested cooking time, you can always let them bake a bit longer. Enjoy! Bill, you must give them a try – so simple and delicious. Love it, want a baked egg now! Mine never really made it to the pretty plates. The family ate them right out of the pan! Love the plate, the muffin tin and everything about this post! Beautiful prose and photography, Louise and what a wonderful idea, Tori. My husband came with a Fannie Farmer Cookbook – another go-to cookbook in the early 20th century, and we still use it. Thank You Priscilla, Fannie Farmer was a household name. You should post something from it that you make. Id love to make these but every time I do they come out hard with a chewy skin on the eggs! What am I doing wrong??? Melissa, egg cookery can be tricky. Make sure you place them in the center of your oven and it could be that your oven is running hotter than you think, so take it down another 25 degrees. My poodle skirt was pink. I loved it. 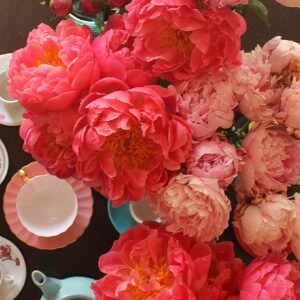 I am so inspired by everything vintage… and this adorable recipe (can a recipe be adorable?) is no exception! Nice to see what people were eating the year I was born. Merlene, so cute right? I live at the vintage flea markets. I made one in Home Ec. Class! I remember home ec, but I can’t remember what I made? My grandma used to make these! Janice, that is so fun to hear. I asked my mom about them, but she only remembers eating large bowls of cornflakes with milk the milk man dropped off. Love this idea Tori….won’t they be great for a brunch?!! Yes! Perfect for a brunch item. So dainty, cute and easily portable too! Oh, and Louise, I think your vintage Ecko muffin pan is very cool. Sure do! I got married in 1967 and have a big collection of recipes from this time period! Dorothy, you don’t even know – these are SO KILLER GOOD! I love reading this kind of history! Thank you Donna, I had fun writing it. I enjoy mine, too. There really are a lot of great dishes that time has kind of forgotten. I haven´t updated it in a wile, but check out my blog at http://www.roscoskitchen.blogspot.com for some good ones, and a few horrible ones. 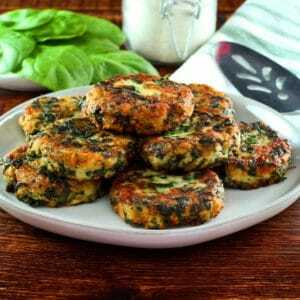 These look so delicious and they are so super simple. I would never have thought of using cornflakes to form a next. When I start eating carbs again I’m definitely making these. 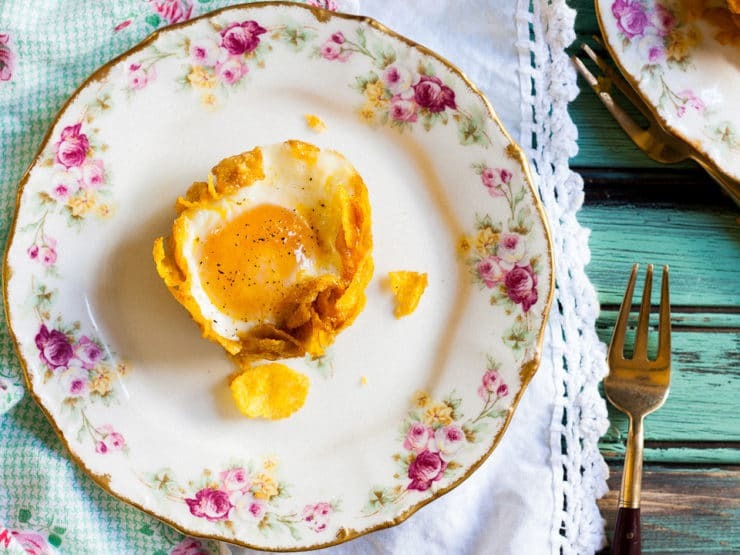 You are never going to believe how good these little egg nests are! Thank you, I love this plate too! LOL – you are definitely NOT old enough to remember those things! I, however, am. Gail M.
Some of them are really strange, but some are actually pretty tasty, like this one! Do you have the book Entree to Judaism? Fantastic book go get it. Jewish history in food. I love how the recipes are an edible reflection of the time period. We can live the history by cooking it! I love everything about this! The history, the recipe, the photos and the props! Nice job, Louise!! Love the vintage muffin tin.! My mom just discovered her Sunset Entertaining Book from 1968 – our favorite recipe was Broiled Ham with Bananas. I love vintage cookbooks, and own a bunch. Thank you, it’s one of my favorites. Who am I kidding? I have 100 favorites. I might have a problem when it comes to collecting vintage dishes.